Tony Kushner genuinely believes in the American political process. That’s not a popular position to take, or an easy one to defend, in the current era of partisan gridlock. But the Pulitzer Prize-winning playwright takes the long view. 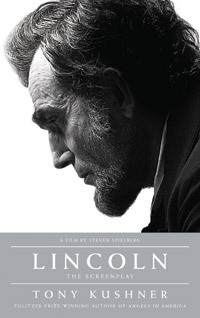 Kushner wrote the screenplay for the Steven Spielberg film Lincoln, which was released last November to rave reviews. It charted how the man generally considered our greatest president charmed and maneuvered his way into getting a dysfunctional Congress to pass the 13th Amendment to the Constitution — the one that abolished slavery. The process wasn’t pretty, but it worked, and tracking it leads Kushner to hesitate before endorsing the cliché that politics is the art of the possible. “I believe that politics is also the art of the miraculous,” he said. The author of Angels in America will be in conversation with UCSB theater professor Irwin Appel at 8 p.m. Friday in UCSB’s Campbell Hall. Last week, as he was picking up his poodle from doggie daycare, Kushner spoke with The Santa Barbara Independent by phone. What’s on your mind today? I’m working on a screenplay for Steven Spielberg, so that’s completely what’s on my mind at the moment — the specifics of a couple of scenes I’m working on. I can’t go into any details about it because I’m not allowed to, but I’m trying to get it done before I come out to the West Coast. I’m hoping I can. It’s based on an actual historical event. It’s a complicated account of a very dense historical moment, and not one an audience is going to be very familiar with, so it presents a lot of challenges in terms of exposition. I’m sorting out how to be true to the complexities of history while telling a dramatically satisfying story. Does crafting a screenplay take a long time for you? There were reports that Lincoln had a very long gestation. Lincoln was about seven and one-half years, between my getting hired and awards season this past year. It was really my whole life. It was such a vast subject. It took me a long time to figure out how to tell the story — and how to condense it. After the filming, Steven and I worked closely during the time when he was editing. It meant everything to me that he was willing to keep talking. I can be tireless; you might say relentless! In the long run, he makes his own decisions. I knew I couldn’t compel anything. But I felt enormously listened to. For Steven, clarity of narrative is a democratic principle. He doesn’t dumb things down, but the idea that anybody would be left behind, in terms of being able to follow the story, is completely alien to him. If you’re confused, he doesn’t say, ‘You’re not smart enough to follow me.’ He’s insistent that our job is to make things clear, and he knows how to do it. Playwrights are not, by nature, necessarily the world’s greatest storytellers. I don’t think that’s what playwriting’s about. I do think narrative is enormously important in film, and he’s one of the world’s great storytellers. Talk a bit about that. Playwriting is not about storytelling? There are some wonderful dramatists who are not interested in narrative at all. I am. I’m really happy when I come up with a good story or have found a good story to tell. But in playwriting, the argument, the dialectic, is the key. The narrative follows from that, supports that. If you find the right narrative for the battles you’re trying to put onstage, you’ll write a really good play. The story has to have a narrative logic and be plausible. The characters have to have the unpredictableness and independence of mind that human beings have, so they don’t feel like puppets in your puppet play. But an argument is at the deep heart of the thing. There’s not really much else you can do in theater. It can’t create worlds in the way you can do in a film. The thing that you sharpen as a dramatist is conflict. What did this character come onstage to get? Did he or she get it? If not, what stopped them? Does that mean your plays usually begin with a question you’re asking or an issue you want to explore? You can start from any number of places. With my most recent play, The Intelligent Homosexual’s Guide to Capitalism and Socialism with a Key to the Scriptures, I did start out thinking about specific political issues I wanted to address. I wanted to talk about unions. I wanted to talk about the political theory of revolution versus evolutionary change. These are things I think about a lot these days. I slowly allowed my imagination to pull together [a way to present these ideas in dramatic form]. I started with a brother and sister. I knew two actors I wanted to work with, so I thought, okay, they’re brother and sister. Then you let your mind roam around, and it starts to pull together a plot. Mostly what you hope is if the argument is deep in your blood and bones. When you start to come up with a story, your unconscious and conscious minds, in collaboration, will create a kind of mousetrap that will ultimately prove to be an effective instrument. Where does television fit into all this? It’s a visual medium, like film, but especially in recent years, it’s a place where writers call the shots. It’s the age of David Chase. He showed with The Sopranos that you could make a serious work of art [on television] with as much depth and power as any [other medium]. You then had this succession of intensely talented people — David Simon with The Wire, Matt Weiner with Mad Men, Vince Gilligan with Breaking Bad, Lena Dunham with Girls. It’s enormously exciting. It’s the first time in the history of the human race that people who make kinetic representations of reality are not bound by an audience’s attention span. With these shows coming out on DVD, you can basically treat them like books. You can carry them around on your iPad, watch them whenever you have a chance. The thing screenwriters and playwrights have always envied about novelists is they can write books that are hundreds of pages long. You can now make shows that last many, many, many hours. Eventually the term “binge watching” will go away because you don’t call it “binge reading” if you read a long novel. That’s really exciting. It’s really a new form. Does it interest you? I’m working on a series for HBO. It’s a contemporary story set in New York. I’m not able to say more. I’m working on the pilot and what they call “the bible,” which is a projection of the plot. It’s a lot of fun to play around with it. I hope I can do it. It’s a form I don’t know very well, but I tend to think in epic structure. 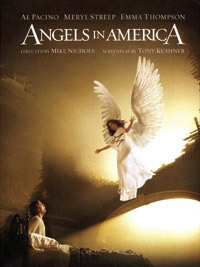 Angels in America is a very long play. The first draft of the Lincoln screenplay was 500 pages long. So length is not usually a terrible problem for me! 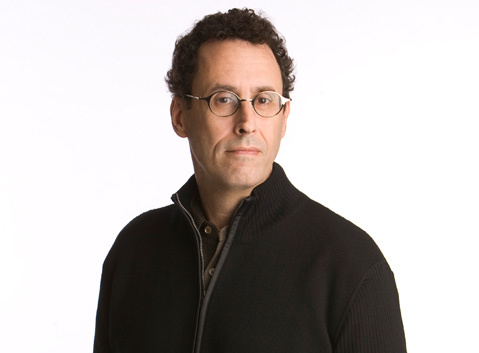 UCSB Arts & Lectures presents An Evening with Tony Kushner on Friday, October 4, at UCSB’s Campbell Hall at 8 p.m. Call (805) 893-3535 or visit artsandlectures.sa.ucsb.edu for tickets and info.